School work has officially hit. I have my first Biochemistry quiz on September 18th, worth 10% of my grade. Last year, in both of my first year chemistry classes, I did very poorly, which has me nervous for this class. So, I’ve been studying. I have to memorize 20 amino acids, their chemical structures, and their specifics. Our professor is very kind and made them into a deck of cards which I have been studying like crazy. This feels like a midterm, and I’m already using my midterm-studying-coping-strategies. In other words, knitting. I study for a while, then knit a few rows. 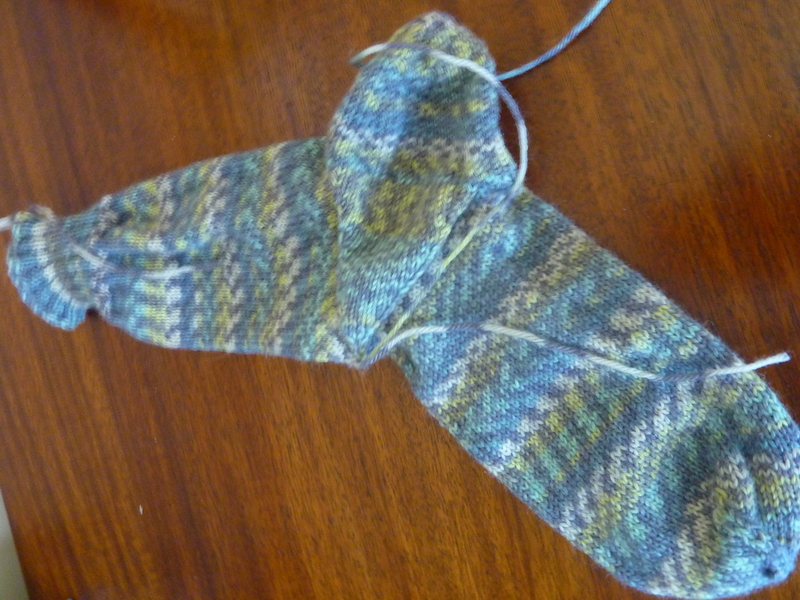 The second Hat-Heel Sock has been started. It’s little more than a nub at the moment, but it’s a great thing to have as a study buddy – the rows are short and don’t take very long, but are still enough to create a break. At this rate, I’ll be done the heel and the gussets by tomorrow morning… Unless my will to study dies out, which it might. My bigger study break is the sweater. I tend to work on it before I go to bed, to wind down and enjoy some trashy television. 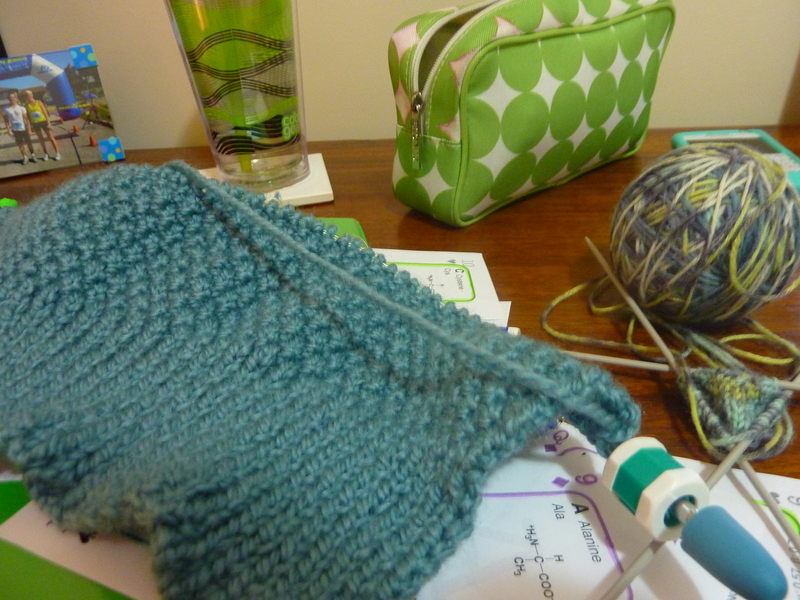 I’ve made quite a bit of progress… I think I already have 7 inches done of 17.5! Doesn’t seem like much if you look at it that way, but to me it’s tons. In other news, the 101 things list has a growing list of done items. 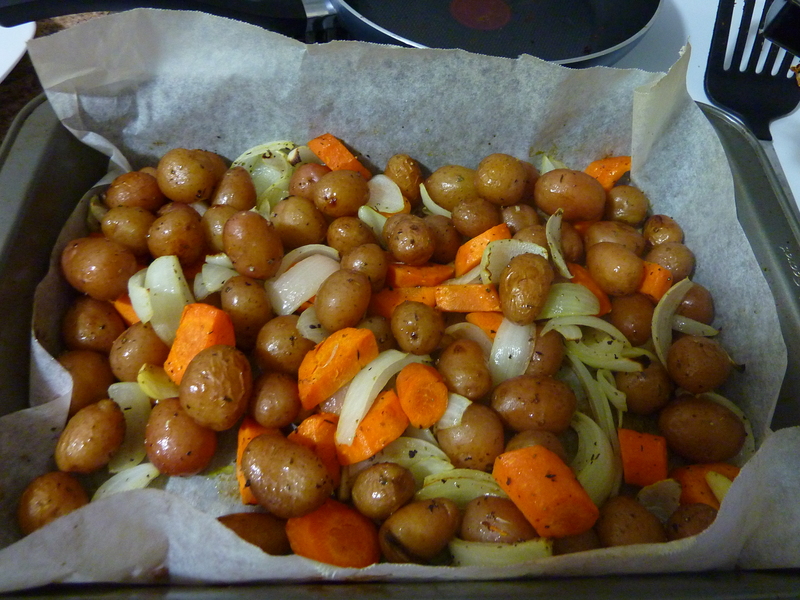 Last night I also cooked meat for the first time… Chicken! It was so easy that I feel silly for thinking it was so hard. I’ve also successfully made Indian dahl (a spicy lentil dish) and I would have to say that this cooking thing really isn’t too hard. My only issue is ingredients… They cost way too much and cut into my yarn budget! Fall! It’s here! Well, it is for a day at least. The temperatures are supposed to go up again tomorrow. Still, a reprieve from the heat of summer is nice, no matter how long it lasts! The first Hat-Heel Sock is finished! It looks great, but I must say, as a seasoned knitter, I should know how much yarn it takes to cast off. I ran out of yarn with about 10 stitches left, and I had to cut one of my ends and use yarn from that. The weaving in is going to be a nightmare. 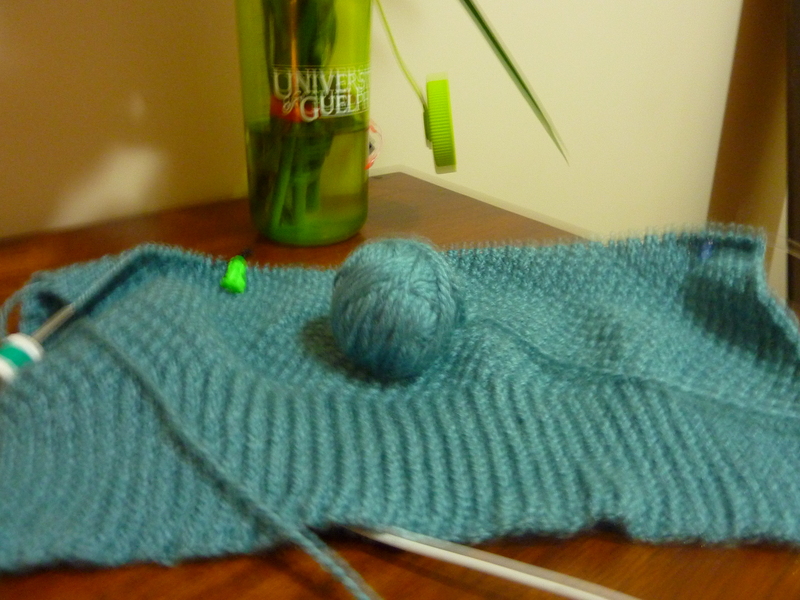 I’ve been trying to find a way to juggle multiple projects and I think it’s a lot easier during school if I work on one at a time… It is nice to have a sock on the go to counteract the huge-ness that is the sweater-to-be, but still, I have three things on the go at the moment. It’s a little too much. I’m finding that I like to one thing done before I start on the next. Loose ends during school only serve to drive me crazy. This could mean trouble for the Christmas knitting. 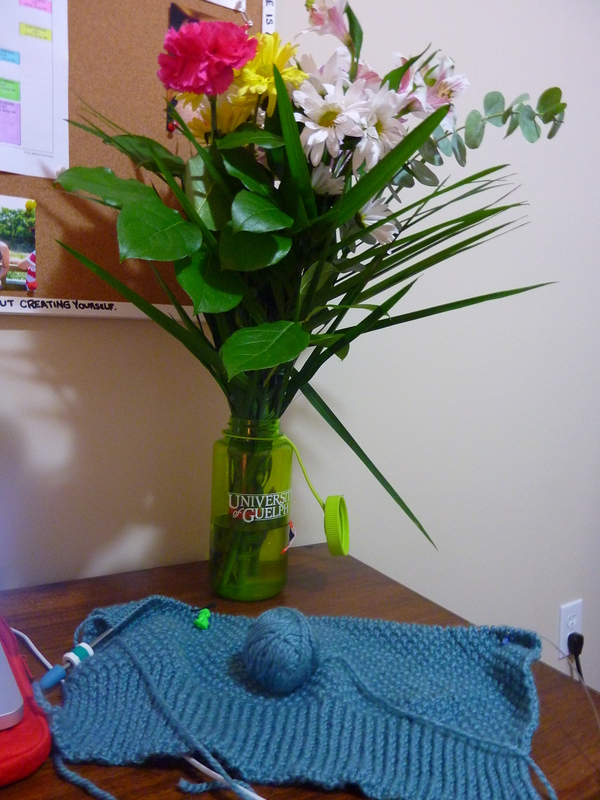 I mean, the only way that I got through before was through insane multi-tasking, and having knitting in every room. 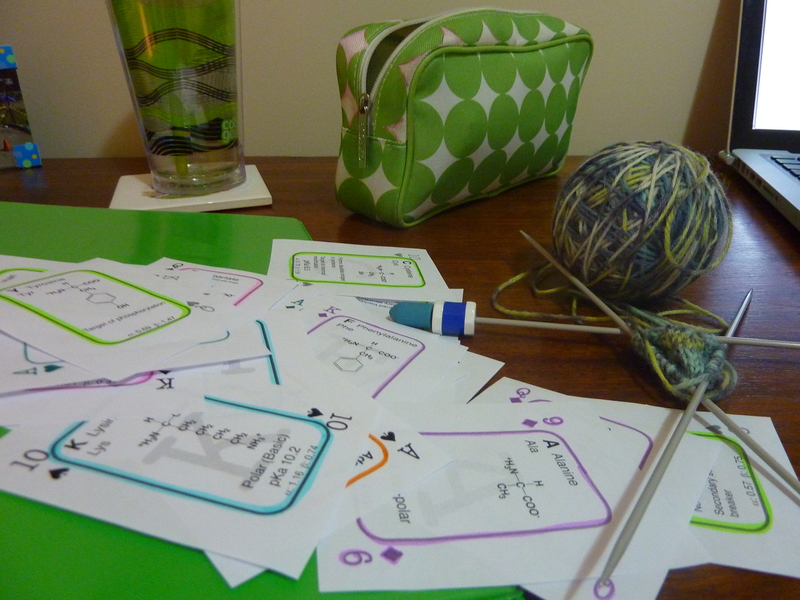 I guess we all fall down somewhere… And my downfall is in my inability to be a monogamous knitter.